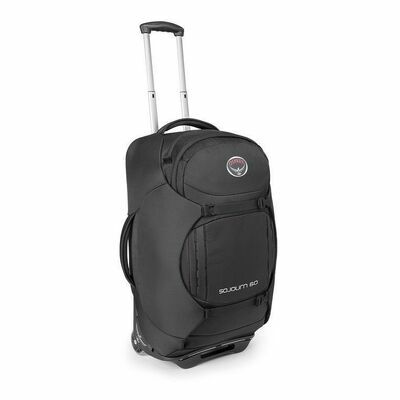 With Osprey Sojourn Convertible 60L/25”, already a great roller, the stowaway AG inspired backpack suspension expands your trip’s horizons and is just as comfortable zipping around the airport as it is trekking down trails. The Osprey Sojourn Convertible 60L/25” is the pack for the job if you plan on travelling far and venturing even further. 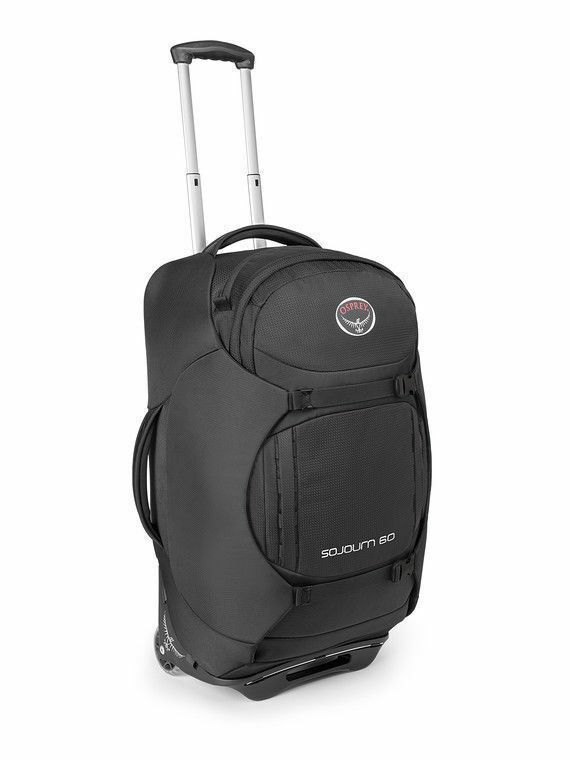 With Osprey Sojourn Convertible 60L/25”, already a great roller, the stowaway AG™ inspired backpack suspension expands your trip’s horizons and is just as comfortable zipping around the airport as it is trekking down trails. Rolling luggage is great, but sometimes the terrain is too rough and you need a backpack. The Osprey Sojourn’s quick deploy AG™ inspired ventilated backpack suspension allows this and it carries more comfortably than some competitors backpacking packs. The system is adjustable for multiple torso sizes and is removable when you need more space. In rolling mode the dual-tube extended handle controls unwieldy loads when the going gets rough, and multiple padded and moulded handles make it easy to manoeuvre this pack out of taxis or tuk-tuks. Extra gear can be strapped to the external daisy chains, or add on our Daylite pack to added flexibility and storage. A top zippered liquids pocket, padded sidewalls, internal compression straps, fabric wings, and four zippered compartments keep your gear organized and protected. When the pack isn’t fully loaded, use the StraightJacket™ compression straps to cinch it down. O/S 3661 IN3 / 60 L 25H X 14W X 14D IN. 9 LBS.